Where is obsidian found? Is it typically found on the surface or underground? If underground, how far under (meters or feet would be perfect)? Also, is it found everywhere on Earth, or just in areas where volcanic activity is (or was recently) high? Obsidian is formed when a rhyolitic (or felsic) lava flows cool rapidly. This must mean that it's mostly available on the surface (and I think if you go near volcanos you can find pieces of Obsidian on the ground) because molten rock cools much faster above ground than it does below, allowing the melt to cool with small crystals (as opposed to intrusive rocks which have larger crystals). This means that Obsidian is an extrusive igneous rock. I am betting that Obsidian is very common around most active volcanos around the world! The processes forming obsidian are not well understood because an active obsidian-forming eruption has never been recorded by humans. However, we can make many inferences from the composition of the rock and settings in which it is found. Obsidian is more than 70% weight percent SiO2 (i.e. rhyolitic), but has less than 0.5 weight percent H2O, and almost 0% gas bubbles (vescicles). This is very unusual because high-silica magma typically also contains a high volatile content. That means they can contain up to 8% H2O, CO2 and other species that easily become gasses. Because the rock is "missing" water and has no gas bubbles, we know that the gas escaped the rock while it was molten. 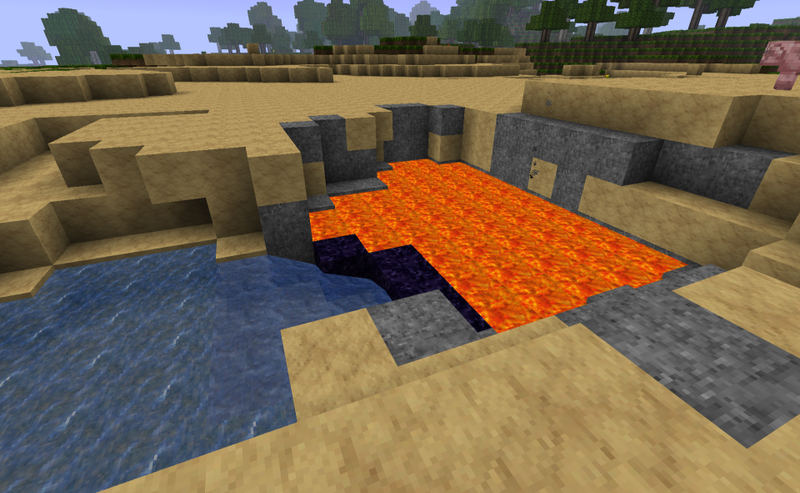 This process normally takes quite a bit of time, so you might think obsidian cools slowly so that all the volatiles could diffuse out of the rock without forming bubbles. One way to explain this "low volatile, glassy texture" paradox is to say the lava was kept hot for long enough time that the gasses were able to escape, and then cooled very suddenly. Another possibility is that the parental magma was extremely dry (low-volatile) to begin with for some reason. Modern humans have never seen obsidian erupt primarily because rhyolitic eruptions are rare. However, obsidian is rare even among rhyolitic eruptions, presumably because lots of open-system degassing followed by rapid cooling is an unusual phenomenon. There are many places in the world that seem to habitually produce obsidian and have produced enormous volumes of it. The Valles Caldera in New Mexico is a particularly good example, with a huge lava flow and several lava domes all constructed from obsidian. Similar lava domes called the Inyo Domes near Mono Lake, CA have been fundamental to the understanding of the behavior of stable isotopes in magmatic systems and are probably the most well-known outcrops of obsidian among geologists. I have seen it on the surface in some the lava fields of Iceland. This is consistent with @Neo answer. Obsidian is not that often present, but if present, there is usually plenty around. It occurs in rather large pieces. This photo is from Landmannalaugar. Not the answer you're looking for? Browse other questions tagged geology volcanology petrology or ask your own question. How long would it take for Mars to cool after asteroid impact? What type of rock is this and how did it form? Is an underground mine collapse or a tunnel collapse called a sinkhole?